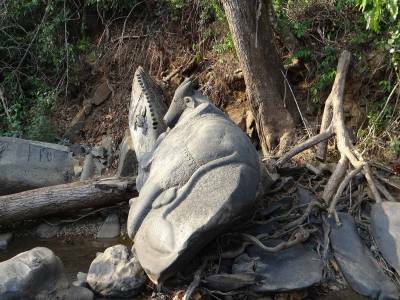 Shrouded in mystery and of course beauty, the Sahasralinga or the hundred carved Shiv Lingas with Nandi (bull), Lord Shiva’s vehicle in front of it is embedded on the bed of the Shalmala river bed. The sight indeed is one of rare spectacle. 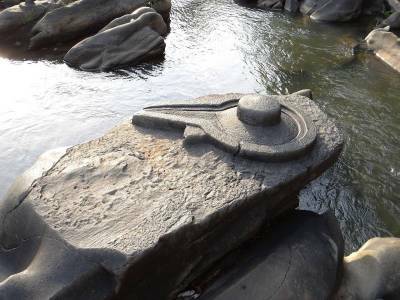 A pilgrimigage place in the Sirsi Taluk, situated in the Uttara Kannada district of the state of Karnataka, this place has the most fascinating and crystal clear view when the level of water is not too high. This place is one of a much revered and sacred one for the Hindus especially during the auspicious occasion of Shivaratri when pilgrims and devotees flock in manifold numbers to get to this place and offer their prayers to Lord Shiva. It was in the year 1969 that this holy place got discovered by Jean Boulbet who was an ethnologist. But it was only after two more decades that the place became a proper and safe one for making visits as Jean Boulbet’s work was interrupted due to the Cambodian Civil War. In Sanskrit, however, Sahasralinga means thousand lingas. In Sanskrit, the word ‘linga’ means mark or symbol pointing a conclusion or inference. 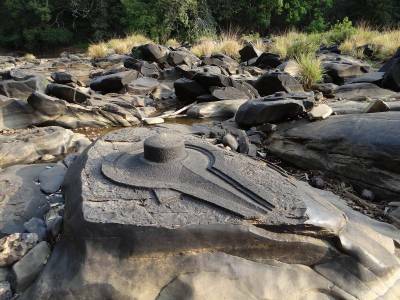 The shape of the Linga is akin to that of an egg representing the “Brahmanda”, also known as the cosmic egg. 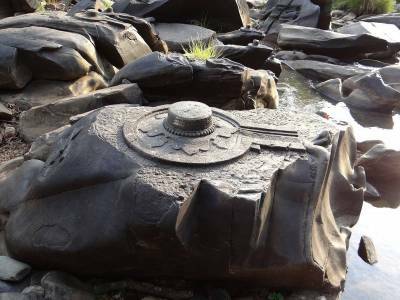 Legends have it that these sahasralingas were built during the time of king Sadashivaraya who is also incidentally known to be the first king of Sirsi as he thought that by carving out these sahasralingas he would be blessed with an heir to his throne. 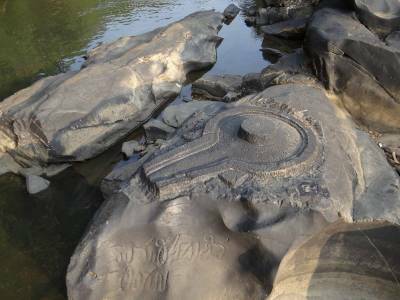 Quite astonishingly in Cambodia too there is the existence of another Sahasralinga carved on the rocks of a river pretty much similar to that of the one in India near Angkor Watt. According to some sources, since many of the Hindu kings dispersed their kingdom there in South East Asia might account for this rather surprising resemblance. Get quick answers from travelers who visit to Sahasralingas.